Welcome to the home of Bob and Joy Parker. Joy has been a member of the Rotary Club of Santa Rosa for many years. She has hosted a number of socials at her home. Going West on Highway 12 just before you approach Mission Blvd., you will see a sign for Paperbacks Book Store. 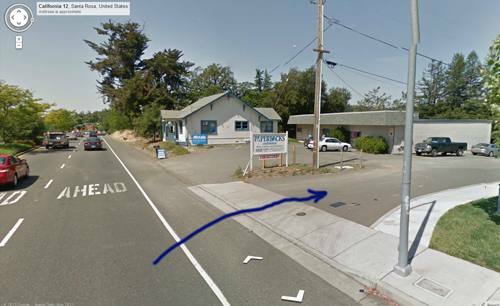 Turn into the driveway and Joy’s home is located just behind the bookstore.